What happens when the UNTAMED dinos and creatures get a little too… Ferocious? You give them a time-out in the UNTAMED Jailbreak Playset! This special cage comes with Infrared, an exclusive T-Rex Untamed dino with eyes that glow-in-the-dark and a fierce desire to escape. Contain him if you can! But beware: If you pull the lever, Infrared will bust out of his cage! The Jailbreak Playset holds up to two UNTAMED creatures. Will they be friends or foes? That depends on you! Will you tame them into friendly companions... or unleash their inner beasts?! Meet the UNTAMED Skeleton Dinos; Doom and Gloom, AKA The Boneheads! These creatures are fierce and unpredictable and know friends vs foes. In the Untamed mode, they rattle, roar, hiss, and chomp! In Tamed mode, the nuzzle and purr in their jingle-jangle skeletal way. Complete with snapping jaws that look like broken bones and giving claws, these interactive dines react to touch, motion and sound with over 40 different animations and Sound FX. BONUS! These Bonehead dinos Glow-In-The-Dark like zombie skeletons! 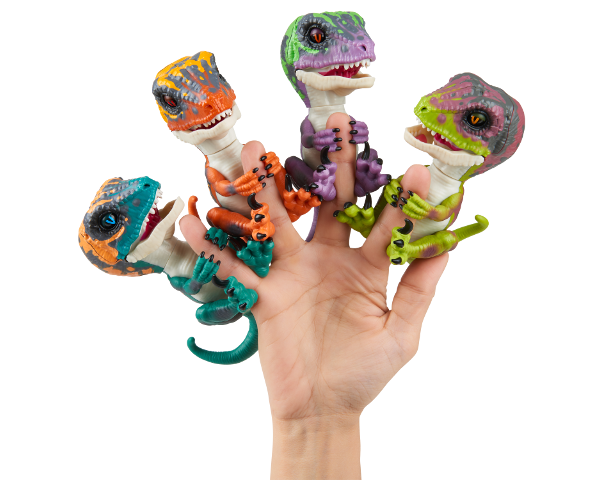 Meet the 4 new Untamed T-Rex's by Fingerlings! These finger-gripping creatures are fierce and unpredictable, and know friends vs. foes. In untamed mode, they roar, hiss and chomp! In tame mode they nuzzle, purr and love to be near you. Complete with snapping jaws and gripping claws, these interactive dinos react to touch, motion, and sound with over 40 different sounds and animations. Your ferocious T-Rex will also greet you with a unique greeting call when you power him on. Meet Fingerlings® HUGS™ - they’re softies when it comes to affection! Their long arms are perfect for big hugs and these cuddle monkeys never want to let you go! Swing them, pet them, and rock them to sleep, or give them a kiss and watch them kiss you back with Kiss-Tech™. Record what you say and watch them repeat it back in funny ways. The Fingerlings Light-Up Unicorns Mackenzie and Jo-Jo love to grab onto things… especially your fingers! These unique little pets have a special unicorn horn that lights up and cycles through a variety of magical colors! With iridescent sparkles on their arms and legs, they love to shimmer and shine! They also respond to you with special unicorn sounds in response to noise, motion & touch, and will let you know how they feel with their adorable, blinking eyes and head turns. You’ll get different reactions if you pet them, rock them to sleep, or hold them upside down. If you blow your unicorns a kiss, they will kiss you right back! You can also brush their soft manes and tails. Magical friendship at your fingertips! New Fingerlings Baby Dragons bring you good luck and friendship at your fingertips. These friendly baby dragons will get you all fired up with their interactive responses to sound, motion and touch. 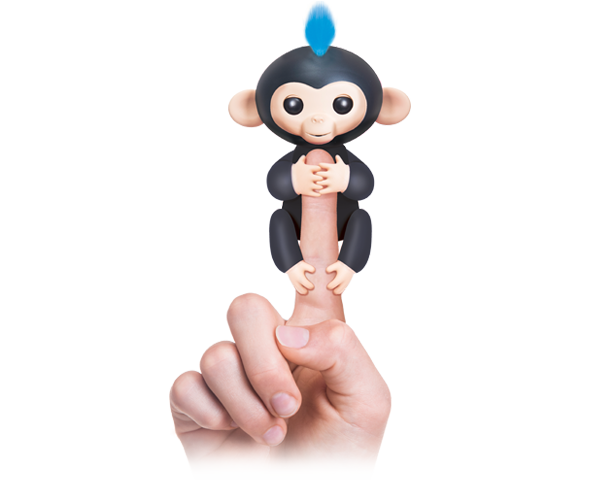 See how they react when you swing them, pet them, rock them, startle them with noises or hang them upside down! Their movements, sounds and adorable blinking eyes are sure to leave you under their mythical spell. Collect them all for fiery fun. The cutest band of dragons ever! Meet Polly, Archie, and Drew the new Fingerlings Glitter Pandas! They're curious about the world around them and love to grab onto things... especially your fingers! With iridescent sparkles on their arms and legs, they love to shimmer and shine! They also responds to noise, motion and touch in all kinds of sweet and comical ways. They blink. They blows kisses. They talk in panda singsong. They even falls asleep when you rock them gently. And if you shout or make a loud noise, they get quite startled! Adopt them all and play with the sweetest panda pals around and feel that PANDA-MONIUM feeling! The party game that stinks! What’s That Smell? is the hilariously fragrant new guessing game that will throw your sense of smell into overdrive. Guess the scents correctly to outrank your family and friends or suffer the stinky consequences of the Whiff of Shame! Download the companion app and capture it all on your ReekCam. 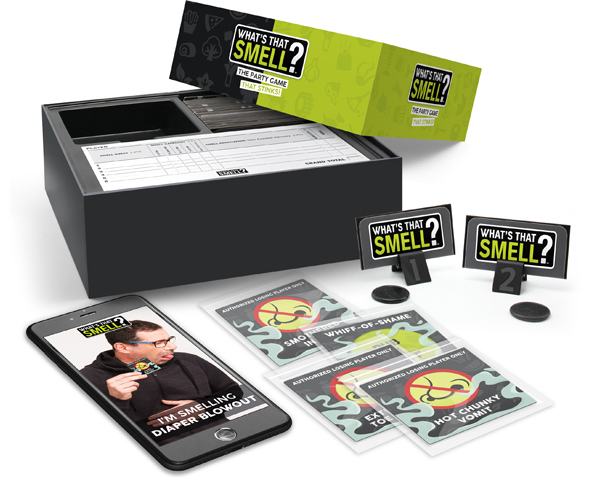 The game includes 48 Mystery Whiff Cards, 4 Stank Cards & scent-barrier bags, 6 cardholders, Whiff Strips, scorepad and instructions. Let the nostril flaring begin! 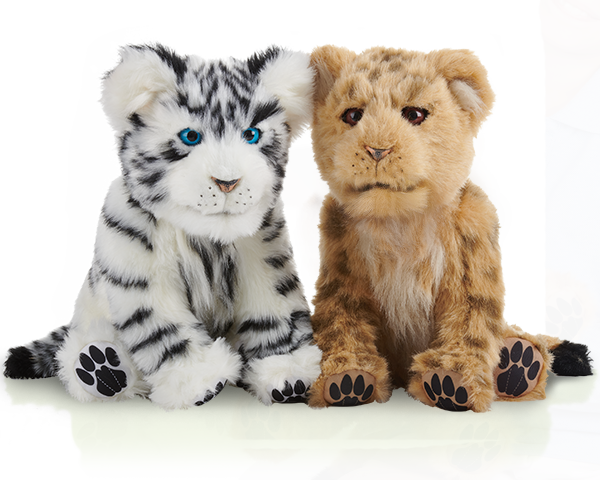 WowWee's ALIVE™ Baby Tiger and Lion Cubs are each the perfect companions for daytime play or sleepy time snuggles! Playing with the baby cubs is like having a real baby animal to take care of and nurture. ALIVE Cubs react with realistic animal sounds and facial animations when you stroke their heads or cradle them in your arms!